Will Brexit lead to a United Ireland? There has certainly been lots of speculation about such a prospect, though mostly south of the border. 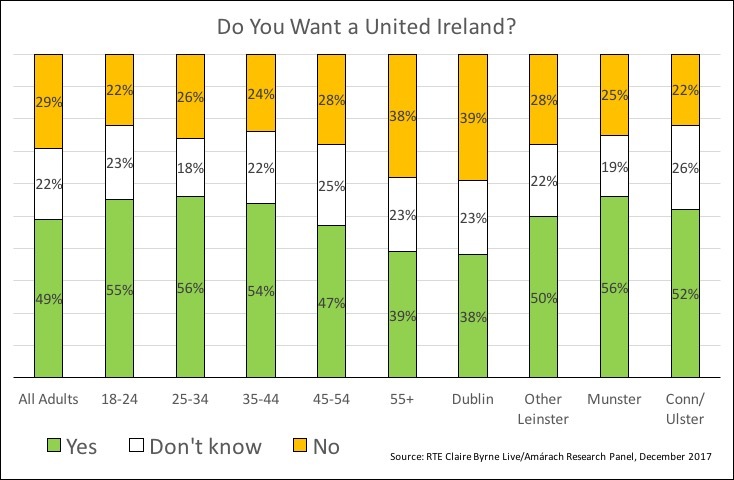 My company's poll for RTE Claire Byrne Live shows that more people in the Republic of Ireland want a United Ireland than don't - though not quite a majority. More problematic - for those saying yes - isn't that Ulster says no so much as Leinster says no. Just as it did when I first wrote about the 'Leinster Problem' back in 2010. Not a lot has changed: the people of Dublin remain among the most hostile to the idea of a United Ireland, while those closer to the border are more positive. 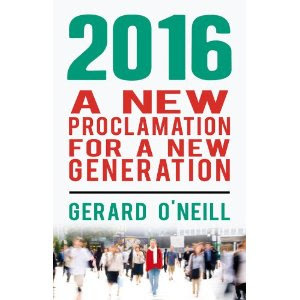 Of course, the question 'do you want a United Ireland?' is a bit simplistic. A more pertinent question might be 'are you willing to pay considerably higher taxes for a United Ireland?' (enough to fill the €11.5 billion gap should the British cut the north loose). That probably reflects some of Dublin's antipathy to the idea (after all, Dublin generates nearly half the Gross Value Added of the whole of Ireland, and pays a higher share of taxes): so Dublin would foot most of the bill for United Ireland as well. Though it's not (just) about taxes: it's also about identity. And let's be honest, most people in the Republic of Ireland don't identify with most people in Northern Ireland. The two parts of the island have grown apart, economically, politically, culturally and demographically in the past 100 years. The Republic of Ireland now exports more to Japan than to Northern Ireland, and twice as much to China as to the north. But I'm not talking North/South Korean differences but a deeper, values-based set of differences. Something closer to David Goodhart's distinction between the Somewheres and the Anywheres. Northern Ireland is still a place where place, history and flags still matter a great deal: making them a population of Somewheres (even though a majority voted against Brexit!) The Republic of Ireland is increasingly a place of Anywheres: cosmopolitan in outlook, shaped by an open, globalised economy, and by patterns of trade and migration. Uniting such divergent cultural forces is a challenge for the UK right now in Goodhart's analysis, and it will certainly be one for Ireland if/when the two parts of the island come together. As someone who travels to and through Northern Ireland quite regularly, I certainly hope this week's events will mean that we keep a border that is - for all practical purposes - invisible. But the impractical distinctions of values and culture will continue to keep north and south apart for a very long time to come. Sick and tired of the current level of taxation, let alone a higher level to support another even more bloated and inefficient public sector.